There are no file systems that iPhones and iPads users can access. In replacement of such arrangement, each app has their own "library" of files. However, with iTunes File Sharing, you can seamlessly copy files from and to these app-specific libraries. With the upgrade of iOS version, the option of using the desktop file manager applications to access the files of apps was removed. 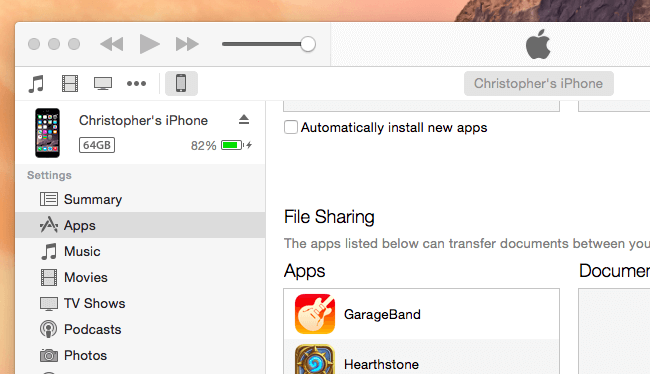 Now, except a particular app specifically opts into iTunes File Sharing, its files cannot be shared. This feature helps to make up for the absence of a file manager on iOS. There is no need to rely on the cloud or various third-party apps, and you can get files of individual apps easily through iTunes. That is, you can move or copy files from your computer to your iPhone and vice-versa. Simply put, what you have is each app having its little file system, which you can access through iTunes. Here, we will discuss how to use the iTunes File Sharing feature on iPhones and iPads. In the end, you should be able to use this feature effectively on your own without any help. Step 1. You need your iTunes functional for this to work. Step 2. Connect your iPhone or iPad to your PC or Mac with iTunes using a USB Cable. Step 3. Proceed to launch the iTunes application. Step 4. Then unlock your iOS device and click its icon on the toolbar in iTunes. Step 5. Look for the APPS category, around the sidebar and scroll down in the right pane. Step 6. You will find a list of home screens, after which comes the “FILE SHARING” section. Step 7. Click any of the apps under the FILE SHARING section, and the document library for the app will load. Step 8. Drag and drop these files into a folder to copy them from your iDevice to your PC. Step 9. Also, drag and drop files from your PC or Mac to the library view if you want the transfer to go the other way round. Note that apps will only appear under the FILE SHARING section if the developer has particularly allowed them to function with the feature. Perhaps you have an app on your iDevice but is absent under the FILE SHARING section, just know that the developer never integrated the functionality. Apart from using a USB to make a connection between your iDevice and your PC or MAC, you can do the same wirelessly. Step 1. First, connect your iDevice to your computer once, and select it in iTunes. Step 2. Then locate and click the SUMMARY category under SETTINGS. Step 3. Scroll down to the OPTIONS section and enable the “Sync with this [iPhone or iPad] over Wi-Fi” option. Step 4. After this, click Apply to save the new change. Now when your iPhone or iPad is charging, iTunes is opened on your PC or Mac and both are sharing the same Wi-Fi Network, you can easily get your device as an option in iTunes. Then you can go to Apps, then choose File Sharing option and move files around as you want, like your device is connected with a cable. iMyFone TunesMate is a tool that is designed to help in the effective management of your iPhone data, including photos, music, video and more. It can facilitate the transfer of data from your iPhone/iTunes to your PC or an external drive. Likewise, you can seamlessly manage your data by carrying out such actions as exporting, adding, deleting, etc. You are guaranteed 100% safety, and security, with your data and personal information all, kept intact. When you need to share files between your iDevice and your PC or Mac, you can use the iMyFone TunesMate to do the transfer. It is as simple as that. 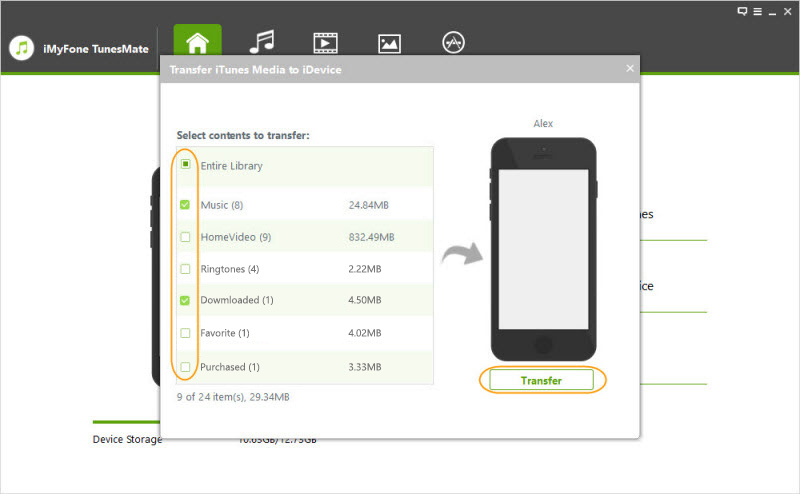 iTunes File Sharing: Offers a free dual-way transfer between the iOS device and iTunes/PC. 100% successful sync: When syncing iOS files between iPhone and iTunes, TunesMate safeguards your files knowing fully well that they are precious to you. 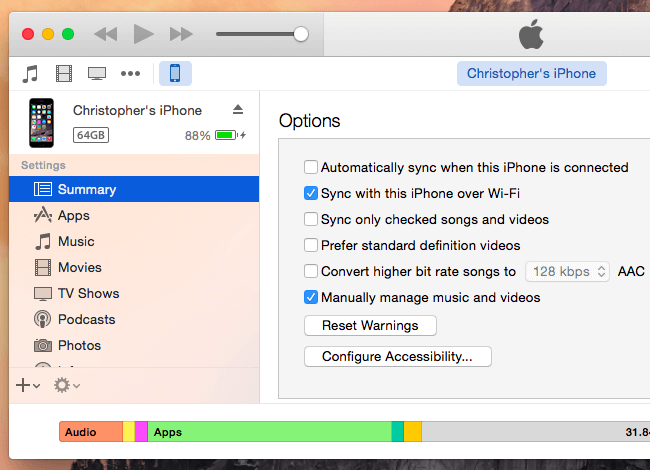 No iTunes limits: You can easily transfer both purchased and non-purchased music between iTunes and iPhone. Preview and selectively transfer: You can choose to transfer your files in bulk, or selectively. TunesMate makes this choice available! Step 1. Open your PC and run the TunesMate. Step 2. Then connect your iPod, iPhone, or iPad to computer. Step 4. It will scan all the media files in your iTunes library and show them in list. Step 5. You can check all the files and then click "Transfer" button to begin the transfer process. Step 6. Click "OK" button to finish it. 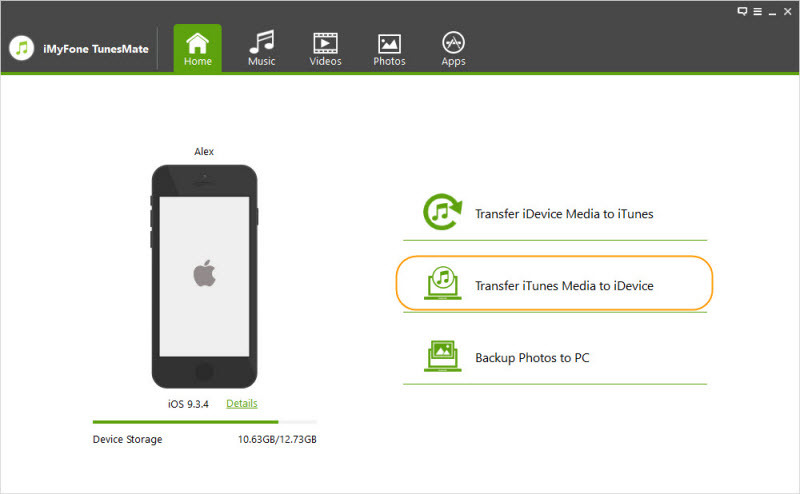 That is all, and you have successfully transfer your files from your PC or Mac to your iPhone or iPad and vice-versa.